Another fun use for those tiny terra cotta pots! Click here for directions on seasoning the pots. Preheat oven to 350 degree (F). Season your terra cotta pots. (Click here for directions) Butter the inside of the seasoned pots. Add about 2 cups water and the lemon juice to a small saucepan. 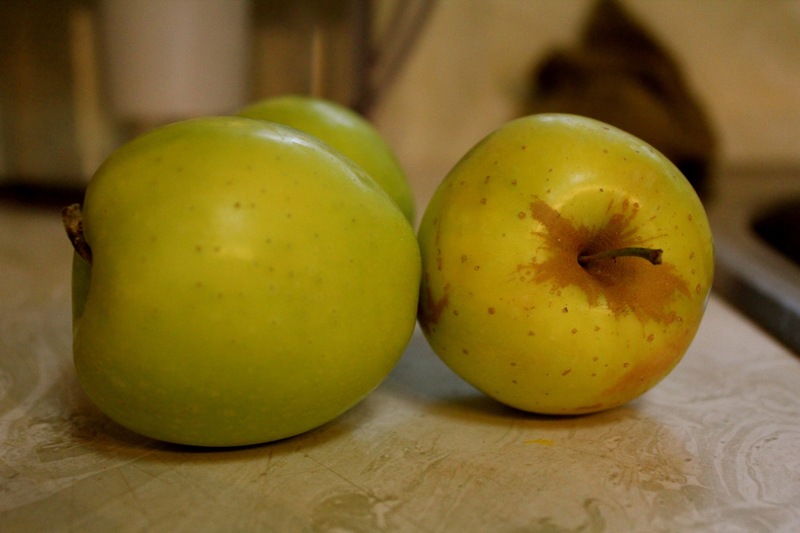 Peel apples and cut into small pieces and add to the water. Bring water to a boil and cook for about 2 minutes; then strain. Add brown sugar, cinnamon, nutmeg and walnuts to the apples and mix well. 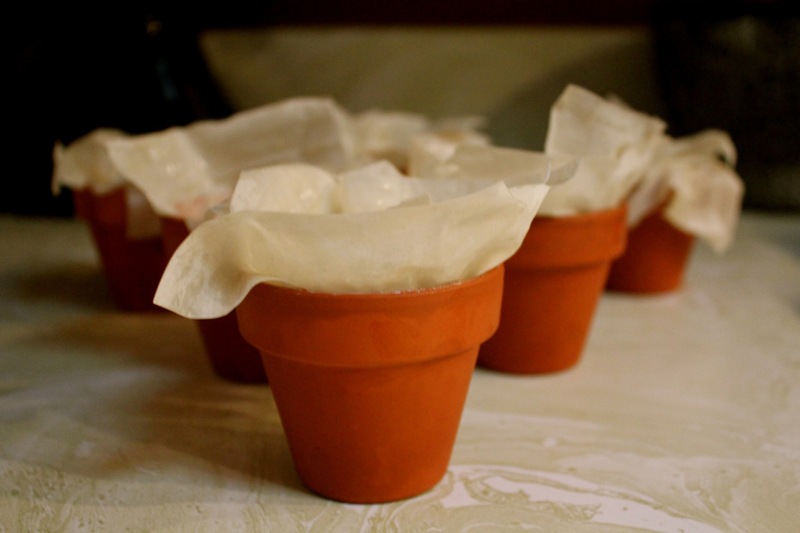 Unfold phyllo pastry and cover with a damp tea towel to prevent dough from drying out. Lay one sheet on a flat surface and cut into three equal pieces (I use a round pizza cutter). 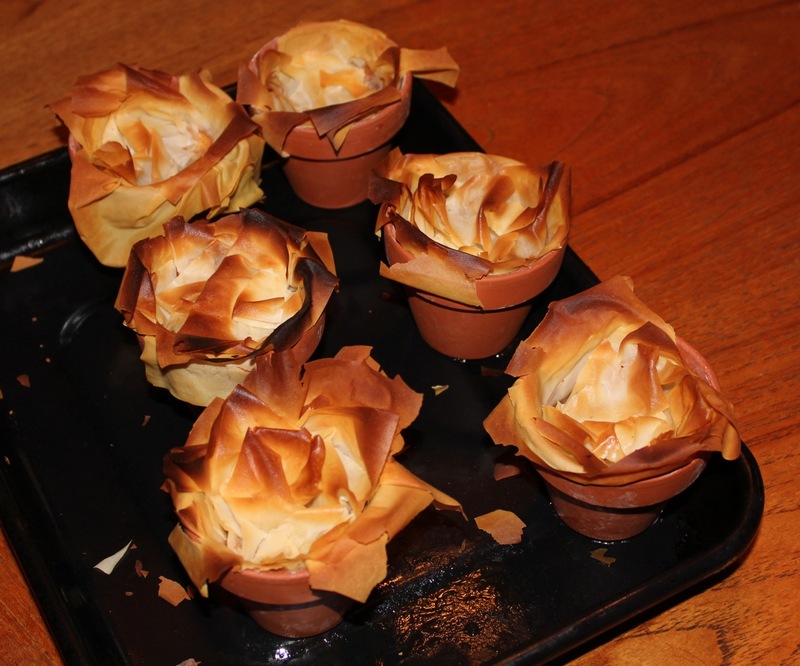 Brush the phyllo with melted butter and line each pot with 2 small pieces of the pastry. Fill each pastry-lined pot with about 1/4 cup of the apple mixture. 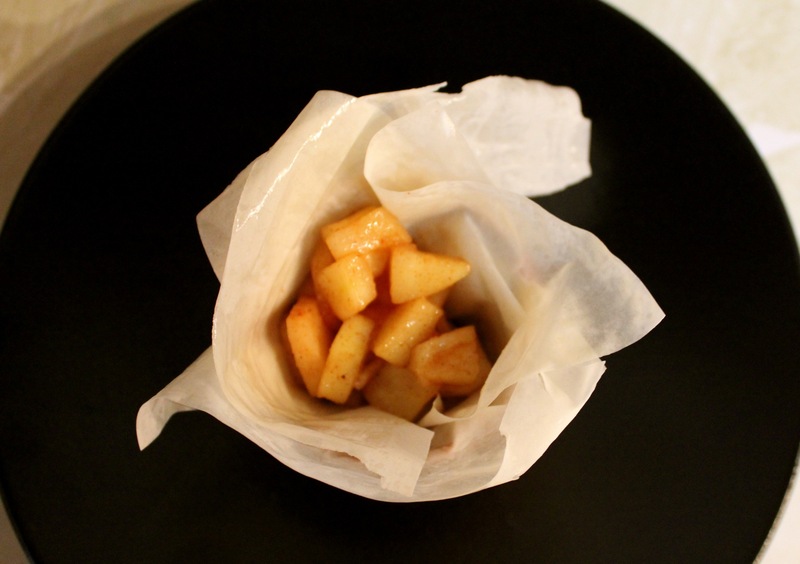 Top with a small piece of buttered phyllo, crumpled up. Place in preheated oven and bake for 15 minutes. Brush the tops with more butter and allow to bake for an additional 10 minutes, or until golden brown. Allow to cool. Sprinkle with icing sugar, if desired. 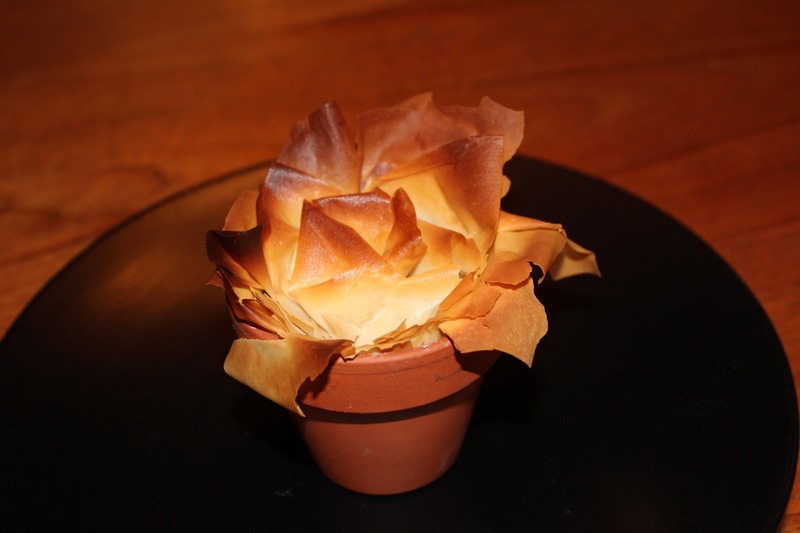 Yield: 6 small terra cotta potted strudel.